ONLY 43,101 Miles! SL trim, Red Brick exterior and Charcoal interior. EPA 39 MPG Hwy/30 MPG City! Nav System, Moonroof, Heated Seats, iPod/MP3 Input, Bluetooth, Brake Actuated Limited Slip Differential, Dual Zone A/C, Keyless Start, [P01] PREMIUM PACKAGE, [U01] NAVIGATION PACKAGE, [X01] LEATHER PACKAGE, Satellite Radio, Aluminum Wheels, [R92] REAR SPOILER. CLICK ME! PREMIUM PACKAGE Auto-Dimming Inside Mirror w/Electronic Compass, Homelink, Bose Premium 8 Speaker Audio System Adds 2 - 6.5 speakers in rear doors, Power Sliding Glass Moonroof w/Tilt Feature, Dual Illuminated Visor Vanity Mirrors, LEATHER PACKAGE Rear Disc Brakes, Heated Front Seats, NAVIGATION PACKAGE RearView Monitor, NissanConnect w/Navigation, 5.8 color touch-screen monitor, voice recognition for audio and navigation, SiriusXM Traffic, SiriusXM Travel Link (weather, movie listings, fuel prices and stock updates), Google Places, Google Send-to-Car, Pandora radio capability, streaming audio via Bluetooth, hands-free text messaging assistant and NissanConnect Apps, REAR SPOILER. 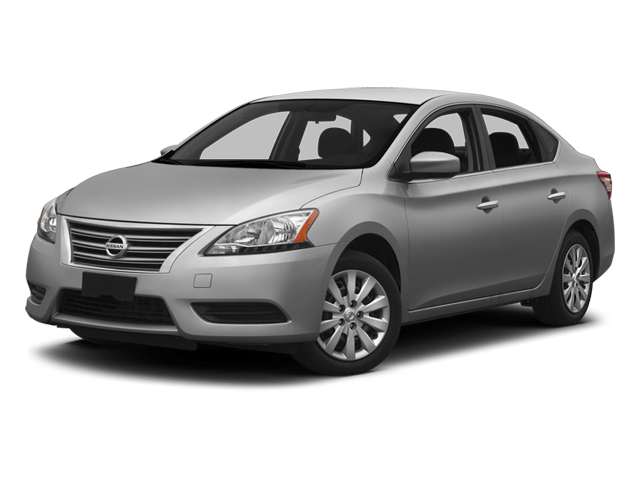 Taller drivers will welcome the Nissan Sentra's unexpectedly spacious front seats. Rear-seat passengers aren't left out, either. the Sentra practically feels like a midsize sedan from the backseat. -Edmunds.com. New vehicle pricing includes all offers and incentives. Tax Title and Tags not included in vehicle prices shown and must be paid by the purchaser. Pricing does not include dealer installed accessories. While great effort is made to ensure the accuracy of the information on this site errors do occur so please verify information with a customer service rep. This is easily done by calling us at or by visiting us at the dealership. At the Ray Skillman Auto Group, we are proud to serve as the car dealers of choice for greater Indianapolis area drivers. Whether you are looking for a new car, a used or certified pre-owned vehicle, great lease offers, or flexible auto financing, our commitment to customer satisfaction is second-to-none. The Ray Skillman Auto group consists of dealerships throughout the Indianapolis area, representing more than 9 of the top automotive brands. Visit the Premier Car Dealers for Greenwood and Indianapolis: Ray Skillman Auto Group! Additionally, all of our dealerships offer top-quality service and parts departments staffed with expert certified technicians, so our dedication to you doesn’t end when you drive off the lot in your new vehicle. From genuine OEM parts and basic factory-scheduled maintenance to major repairs, we have Greenwood and Indianapolis drivers covered. The Ray Skillman Auto Group also works with a wide variety of national banks as well as local lenders to ensure the best possible loan rate for each customer. Our financing departments work with all ranges of budgets and credit histories, and we will be happy to help you secure financing for a new or used vehicle purchase. Drivers throughout Indiana trust the Ray Skillman Auto Group for their automotive needs—visit one of our Indianapolis-area dealerships today to learn more about what we can do for you! Ray Skillman Auto Group	39.5617636, -86.0907533.